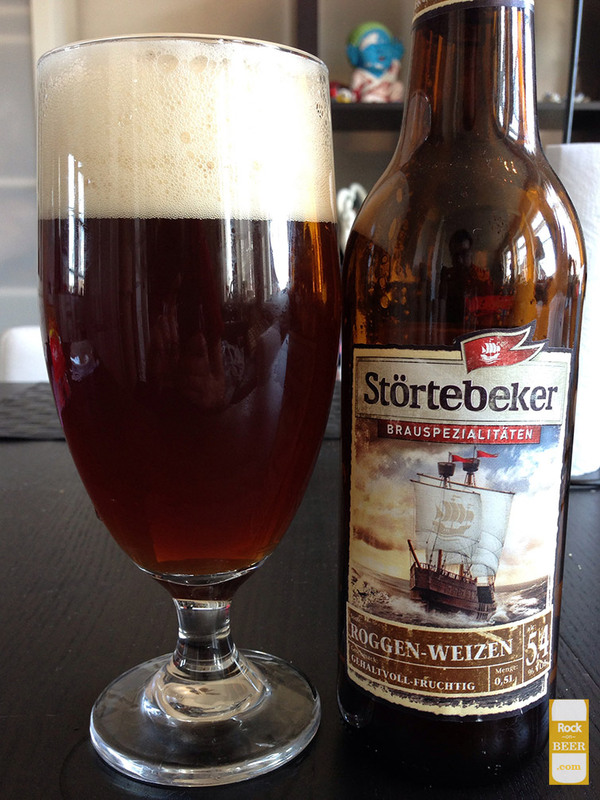 Now I really like Störtebeker's Schwarzbier. In fact it is one of my favorites of that type. So last time I was in Germany I saw a sampler pack, six different Störtebeker beers. I thought that was great, I really want to see what else they have to offer. I won't lie to you, I didn't even bother to review most of them. That's how bad, and or boring they were. This one though I will review, since it is an interesting type of beer. In case you don't sprechen Deutsch the title means "rye wheat". So it is a wheat beer made with rye, not something I have seen much of. So here goes nothing. Pours a very very light brown or a very very dark beige depending on your outlook. Big tall white head that dissipates quickly and leaves almost no trace behind. Aroma is really standard German wheat beer. Banana and sweetness, maybe there is a little extra spiciness from the rye, but that might just be my imagination. Very sweet taste, a lot of wheat and banana up front. The rye is very very subtle maybe just a little extra spice taste and of course that signature rye buzz on the tongue. This was by far the best beer in the six pack (not including the schwarzbier that was in there). That is not saying much though. If you have the choice of getting a variety pack from this brewery, or getting a six pack of just Schwarzbier...well you know what to do.